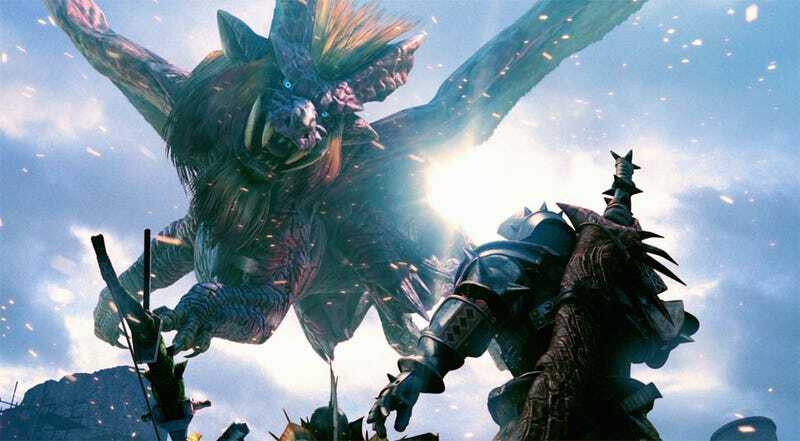 PSP phenom Monster Hunter Portable 3rd made a huge splash in Japan during its first week on sale, moving close to two million copies in just a few days. What did that mean for the PlayStation Portable? Another 323,000 PSPs in the hands of Japanese gamers, that's what. Sony's handheld gaming machine and the latest Monster Hunter were the hardware and software champs overseas this week, according to sales tracker Media Create. The latest Tales game, Tales of Graces F for PlayStation 3, settled for second, while Mario vs. Donkey Kong: Mini-Land Mayhem for the Nintendo DS debuted in fourth place. See the top 20 bestselling games in Japan below. On the hardware front, PSP dominated, outselling all other hardware combined for the week of November 29 to December 5. Its closest competitor was the Wii, which managed to outsell the PlayStation 3 last week. Update: Now with a chart that actually reflects the following sales figures.